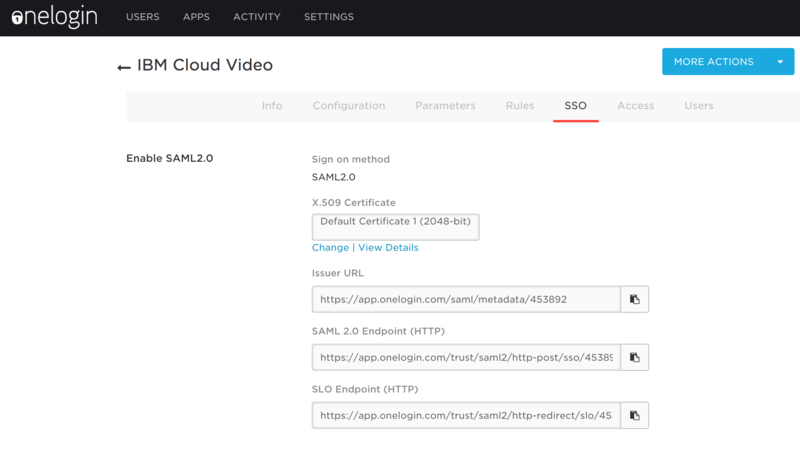 This document helps you connecting OneLogin and an Enterprise Video Streaming account to have SAML based SSO. It assumes that you already have a OneLogin and EVS account so it doesn't cover the account registrations. This should be the channel URL where you would like to allow your users to authenticate. 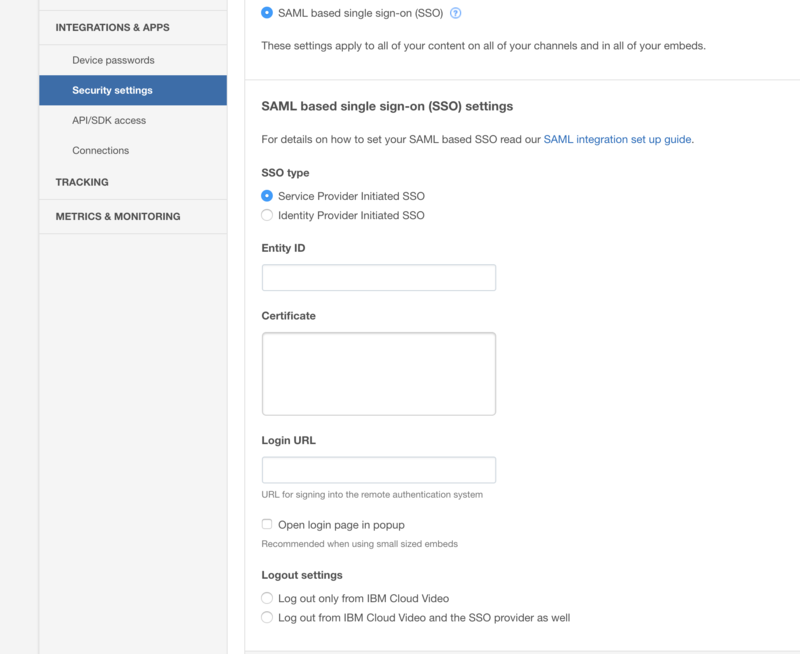 Go to the SSO tab to obtain the values to populate into IBM Watson Media interface. Do not close this window it will be needed later. Choose Service Provider Initiated SSO from the two options. To get the Certificate from OneLogin click on Certificate > View Details, copy certificate to get the actual certificate.